With our 130 years of boat building experience, BENETEAU has learned to understand and respond to the unique needs of its customers. Together with a strong dealer network of trained professionals, Beneteau is committed to the satisfaction of each of its owners by providing a consistently high level of service from your first point of contact, to purchase, and support throughout your boat ownership experience. By choosing BENETEAU, you are choosing 130 years of experience and passion. You are choosing a team of professionals, committed to acting as quickly as possible to meet your requirements. Whether you are in touch with a touring technician or our spare parts service, we are always ready to listen. 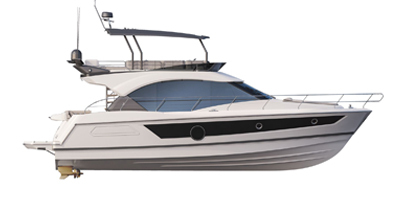 Our commitment: a 7-year structural warranty and a 3 year warranty for parts and labor – a unique warranty that only BENETEAU offers. Acting on your dealer’s diagnosis, BENETEAU will replace all parts, deemed defective by the BENETEAU technical department, for a period of 3 years following the delivery of your new boat. The warranty applies to both parts and labor, and is valid as long as you perform the mandatory annual maintenance with your dealer. BENETEAU will repair any manufacturer's defect to the hull and deck for a period of seven years following the delivery of your new boat. Dealer diagnosis is required. BENETEAU has a centralized Spare Parts Service for the most common parts, so that the work on your boat will be faster and more efficient. Whatever the nature of the problem encountered, BENETEAU will provide your dealer with what you need, subject to available stocks.